Relations between Russia and the West have fallen to an historic low. Hopes for sustained and comprehensive cooperation have dimmed significantly. Competition and selective cooperation is the new normal. The prime objective for the next few years should be limiting the potential for dangerous military incidents that can escalate out of control. Russia and the West must come back from the brink. They need to better manage their conflictual relationship. Restraint and dialogue are now needed more than ever. The third report of the Deep Cuts Commission recommends the West and Russia to build on a number of existing arms control and confidence-building measures in order to avoid further exacerbation of the situation. 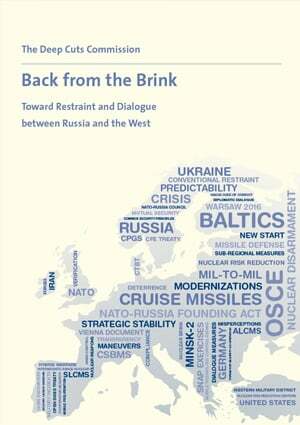 It contains fifteen key recommendations and identifies a number of additional measures, which could help to address the most acute security concerns in Europe – particularly in the Baltic area – and increase U.S.-Russian nuclear transparency and predictability.